As a Rogers® Preferred Converter, Gasket Engineering is well-versed in converting their most-popular BISCO® silicone material, which provides the perfect solution for a wide variety of gasketing needs. Silicones are unique from other polyurethanes, EPDMs, EVAs in that they can hold up in a very wide range of temperatures (-55C to 205C!) and can also go many, many years in an application without losing their physical properties. 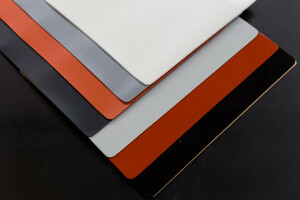 Note: If you are looking for material data sheets for BISCO Silicone Material, check out the Foam tab in our Materials section. Why Does BISCO Silicone Material Work So Well? 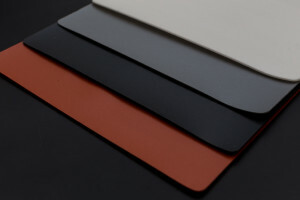 BISCO silicone materials come in a wide variety of foam, solids and composite materials. These cellular materials come in a variety of firmness to meet every customer need. In most applications the softer foams will work if the customer is worried about deflection of a plastic part or thin metal parts within an enclosure. They range from BF-2000 (our softest material), through HT-840 (the firmest material produced.) Typical results are targeted at the mid of deflection for a material. In example, HT-800 has a compression range of 6 – 14 PSI, but typically it is 8-9 PSI. BSCO silicone materials are perfect for applications with large temperature range requirements or heat and cold cycling. RS-700 sponge series is a closed cell offering for rugged applications and excellent water sealing at low compressions. The HT-1200 series is a general purpose silicone rubber with a very high tensile strength for applications with high shear. The grade is also resistant to most fluids. HT-1250 is also compliant with FDA food contact regulations for both consumer and medical type applications. Yes! I want to learn more about BISCO!